This is my Whyne. She is a Southern Belle from Texas. She is one of the college students in a story I'm trying to develop. I have plans to change her hair to pink. Her current hair is not good. Sorry my pics are not good. I have this fancy camera, but don't know how to use it. now that's a girl with attitude! I love the luggage too! She is so pretty can't wait to see her with pink hair. Do those cowgirl boots come with her originally? Thanks Melissa and Dal. I really like her green shadow and pink lips. 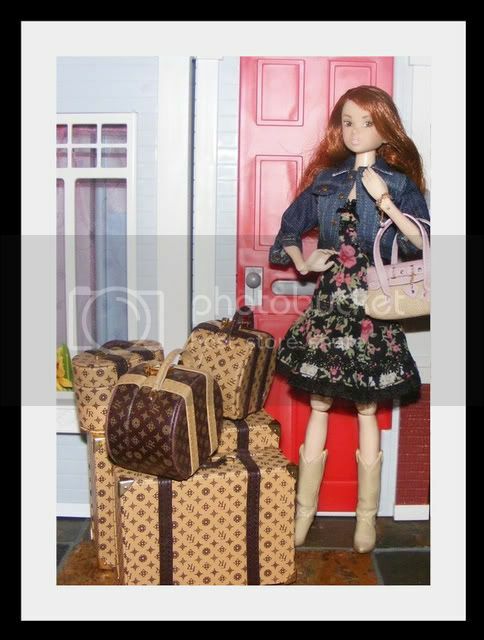 the luggage is Fashion Royalty which I adore. Melissa, yes, the boots are part of her stock. She's wonderful! 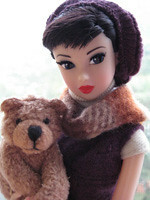 I really like everything about this doll-her eyeshadow is very cool! She has great taste in luggage! WOW, she has superb taste in luggage!! They look like Louis Vuitton, what a luxury!! She's so fortunate. Hi, I've been lurking, but I finally decided to post so this is my first one. I haven't been collecting Momoko for very long (but boy, they sure do accumulate quickly!) and Darling Denim Angel was one of my first & my first experience of the Sekiguchi wire hair. 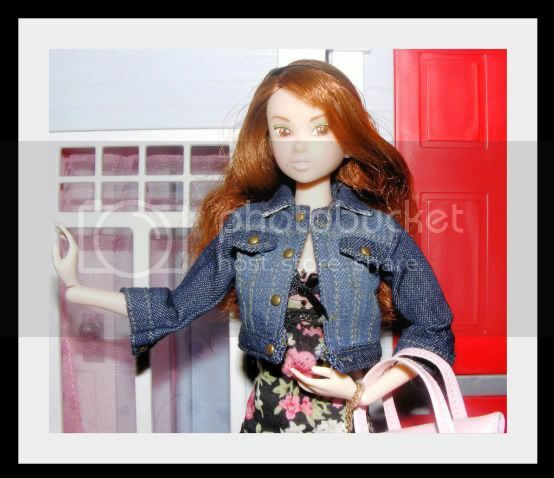 I finally decided to get her rerooted, in a slightly different color but the same style. The other day I decided she needed more of a girly hairdo, so I curled it some more & this is the result. Yay! Marna is in the house..hehe..glad to see you here!!! 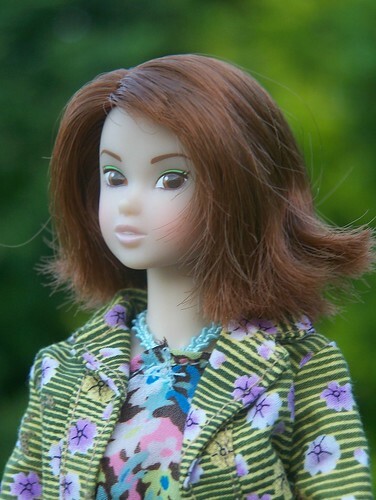 It's all her fault I have become a Momoko freak! Marna, her hair looks great! I'm glad to see you here. I really enjoy your pictures on DD. 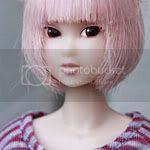 I hope you will post more of your momoko (and others) pics here. I love the luggages too!! I like to see pink hair girl too. Wow, I love your Bernie, Sonia!! The name suit her so well. Nice photo!